Ah Paris… The city of lights, the city of love, the city of so many things. A busy capital and said to be one of the prettiest in the world. Famous for the fashion, the food, the landmarks and so many other things. Have you already been? Are you planning to go? Do you already know what to visit and see? Well, if you want to take pictures of the city’s prettiest streets, here is a little guide to Instagrammable Paris! 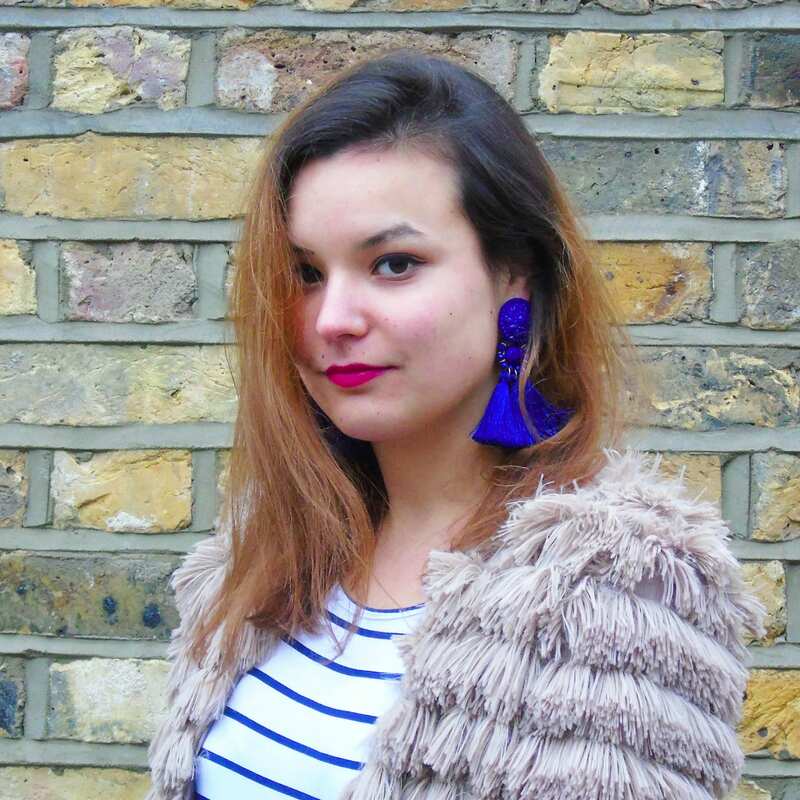 Anyone from London here? Yes? You must be familiar with Notting Hill then. You know, all the streets with beautiful colored buildings. All these super Instagrammable houses? 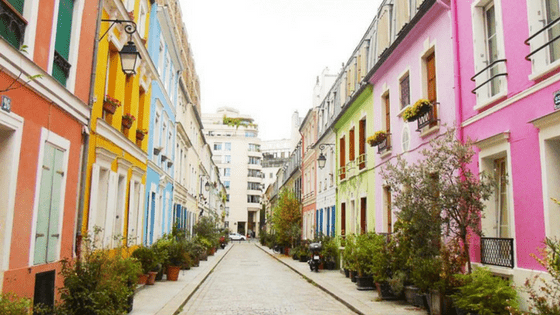 Well, Rue Crémieux is the Parisian equivalent to Notting Hill. The colors are more pastel like but still as pretty! The perfect place for a photoshoot or to take (many) pictures for Instagram. The location of that street is so random, if you don’t know that it exists, you won’t find it. But now you know! Passage de l’Ancre is a bit like Rue Crémieux. It is famous for its super colorful buildings, although in darker colors. 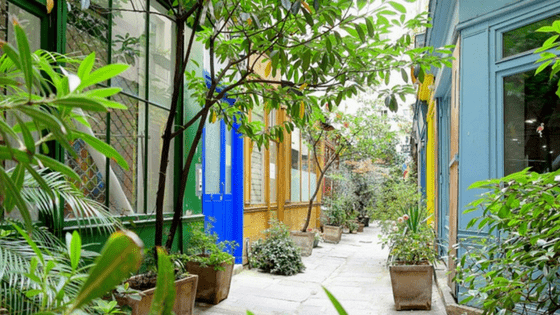 Passage de l’Ancre is another secret of Paris that only locals know. Actually, a lot of locals don’t even know the place. For a really simple reason: it is actually not a street but just a private pathway between two streets. You will find doors at both ends that close after certains hours and on Sundays. The only reason why it is open on week days and Saturdays is to allow clients to access the umbrella shop. I don’t want to call the place a Parisian blogger cliché but it is kinda a Parisian blogger cliché. I must admit, I have been to the café. In my defense, it was for work and I had picked it as location for a photoshoot. But still. I had chosen it because it was a blogger cliché. And just so pretty! The good thing about the place, is that it is just behind Notre-Dame which means there are plenty of other beautiful places around and many picture opportunities. Many birds with one stone. Ah Montmartre. Who does not know that hill? French people know because well, it is famous and a landmark. Visitors know because it is a landmark and also for Amélie Poulain. Great movie isn’t it? The cathedral is obviously the most famous place on the hill but there are many other places worth seeing and photographing. The Maison Rose for example or the walk to the cathedral. Did you know? There is a hidden vineyard just behind the church! I swear this is not a joke! Wine is being made there. Something else you should see! This street is another location I had picked up for this photoshoot at my previous job. I had never heard of it before and I am so glad I found it. It is such a pretty street and amazing in summer! You are surrounded by colorful building while you enjoy your coffee on the terrace. Dream. It is not a super long street but super cute nonetheless. if you walk down opposite the church to the river bank, you will find some other super cute cafés and so many good picture opportunities! 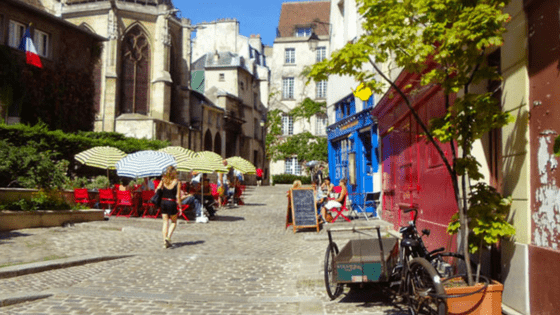 Obviously, Paris being a capital city, there are many other streets, places and landmarks that are beautiful and worth an Instagram picture: Notre-Dame, Grand Palais, Rue des Rosiers, Musée du louvres, Musée d’Orsay, the list can go on and on. 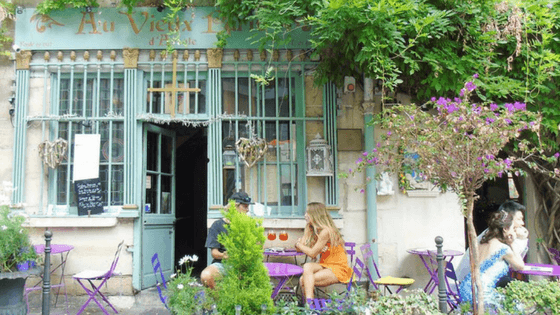 This guide of Instagrammable Paris is a really condensed version! Have you already been to Paris? If yes, have you seen these places? Did you know about them? If not, where do you plan to go? Is this guide helpful? Will you check these places out?